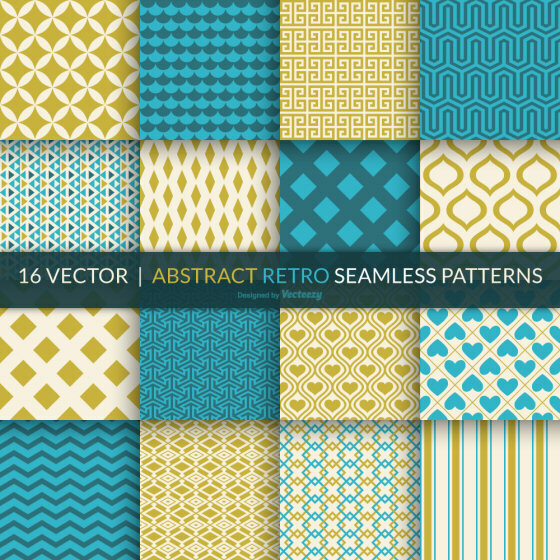 This freebie contains 16 vector abstract retro seamless patterns in .eps, .ai and .psd file formats created by Vecteezy exclusively for WebToolHub readers. Vecteezy is a community of vector art and a place for vector artists to create and exchange a variety of free vector graphics like Vector Icons, Vector Patterns, Vector Swirls, Flourishes and other cool stuff to enhance your designs and creativity. The pack is licensed under a Creative Commons Attribution 3.0 Unported License. This collection of abstract patterns includes PNG files, SVG files, PSD files, AI formats for swatches and EPS files. You can use various vector graphics editing programs like Adobe Illustrator, Photoshop or similar to open up and edit these files as per your choice. Download all file formats contained in a single zip file. Vecteezy is the place to share your free Vector Art and other vector-related resources. Vecteezy makes it easy to explore thousands of graphics created by vector artists from all over the globe. All the graphics are free to download and, depending on the license, free to use in your projects.